That's a matter of opinion I wasn't that impressed he certainly had a lot of trouble moving the ball. I think it became a pundits favorite for proving that 'wrong' footed players shouldn't play in the FB position. That is of course not the problem the problem is not having the experience to overcome such a handicap and Gomez didn't have that. Then he played a competitive match and got exposed because he is dominantly right footed and couldnt get forward/give width. If you want him sitting in at the back, then its fine. If you want to play like we do, then it shouldnt be an option. Just to add, I dont think we should sell Moreno and I dont think Gomez should ever play left back again ! I meant "good" in terms of a young player in a friendly, but thats at least three levels below Robertson. People are remembering it wrong. He didn't just play friendlies he played 7 competitive games at the start of the season, 6 of them at LB and was doing fine. And although, back then, he wasn't as offensive as we'd want now he is, right now, better offensively. As emergency cover behind Robertson and Clyne and maybe even Milner I'm sure Gomez would be fine at LB. He's better offensively because he is on the right. Stick him on the left any improvement will be marginal. Absolutely, emergency only use. He was offering nothing offensively on the right at first. He developed over the season and improved as it went. He's learnt the offensive side of his game now. Maybe not to the level of Alexander-Arnold or Robertson but certainly on a par with Clyne and probably with Moreno Who, for all his huffing and puffing, doesnt actually achieve much offensively. Moreno last season was actually decent offensively, much better than Clyne or Gomez would be on the left. I think Gomez at the end of the season was as good as Moreno during his purple patch. Moreno only had a a short period were he was good. After injury he wasn't as good. Gomez started the season not offering much (like back then when he was on the left). I don't see how people can assume Gomez still won't offer anything offensively on the left. Because he isn't going to be able to go down the outside as well as Moreno can. With Mane playing on the left we need width from somewhere, Clyne and Gomez aren't the answer. We had the above problem when it was Milner and Coutinho on the left and Milner has a lot more quality than Clyne or Gomez with the ball. Robertson is N°1 Moreno N°2 and Milner emergency! Gomez is fine for RB perhaps N°3 even if I put him at least on par with Clyne and emergency CB and could in the future become an option there! But Moreno literally did that for less than half a season. It took years to get some half decent performances out of him. After the injury and Robertson came in Moreno reverted more to type. At this stage I'd be more inclined to use Clyne, Milner or Gomez instead for stability and mean we don't get exposed defensively. I think all come close or match Moreno offensively. None are going to play that often. Robertson will play as most likely LB. 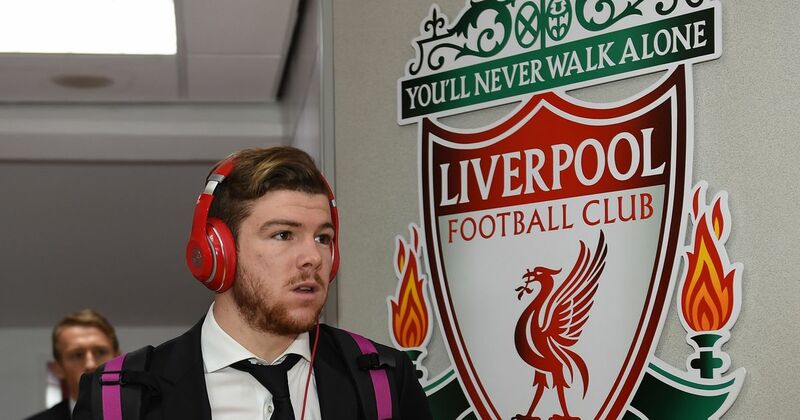 Moreno we don't know what we are going to get when we use him. Itd be better to use a steady hand instead. He has a year left on his deal and we have Fabinho able to play RB at a high standard now too with most of our RBS able to play LB. Just don't see a point in keeping him if there's interest in buying him. You can not invoke stability and mention Clyne and Gomez at LB. I'm not having it. I would understand the point others are making about Moreno if he in fact ever offered anything at all going forward. I know he looks like he often offers something, but it's pointless ineffective energy. We would lose a lot of attacking threat if Robertson had to sit out and we replaced him with a right footer. But the same would be the case if we replaced him with Moreno. When comparing the productivity and threat from LB there is little difference between what we get from Moreno and anyone else we might want to put there. 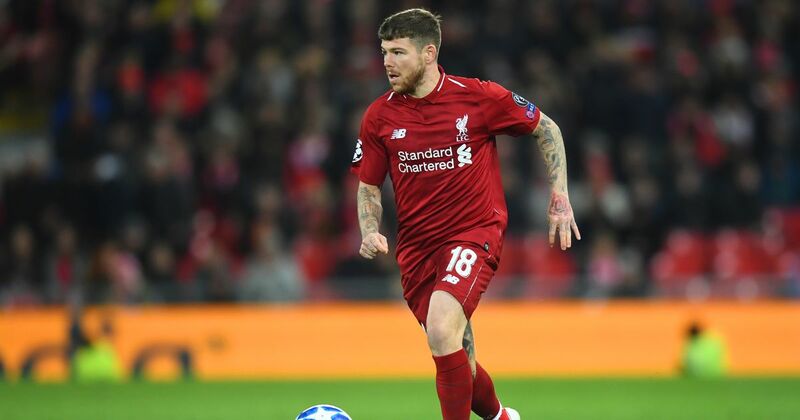 Can we somewhat agree that Moreno would at least make a decent backup for LW and LWB, and since Robertson plays 90% of the matches it's all we really need at this point? No sense in spunking £20-30mil on a new LB to sit on the bench and we have a bit of depth available without disturbing the harmony of the squad. He seems well tied into the rest of the boys and chemistry is a big part of the team. I don't think anyone is suggesting buying a new LB. Think most are disagreeing on whether or not we actually need him at all next season. It's the final one on his contract and although we don't need to raise funds it's still not smart to waste it needlessly. I'd agree Robertson will play most games, I reckon 75% is easily realistic, so do we waste whatever we can sell him for (£5-10 million?) plus wages on someone to maybe play that many games? Would any perceived difference in quality between him and Clyne/Gomez/Milner for those games be worth that cost? That could be the cost of Dembeles loan fee or help us secure Alisson so we don't have to move onto a cheaper alternative or continue with Karius. Being realistic, we don't have a lot of left-footed players on the team already so to have him available for a relatively low salary is not a bad thing. while Gomez may be solid defensively he doesn't fit the style that Klopp is trying to develop, to have the fullbacks push on almost as wingbacks and involve themselves in triangle passing patterns with the winger/midfielder/striker to create space and overloads as needed. Moreno's detriment is his lack of ability to defend (he defends like a 12yo girl) and doesn't have the nous for it. I really believe if he was given a year to develop as a winger with his pace and decent crossing he could be a good backup for Mane, as he's not afraid to backtrack or get stuck into a tackle on occasion. That all said, I am not so sure he's got he tactical sense to really excel in Klopp's overall system...he always seems to drift into strange positions not making himself available to receive an easy pass which puts the ball carrier under pressure. Didn’t we buy a young Scottish left back recently? And with Milner and possibly Gomez as cover as well, perhaps klopp would be happy with that. And a 20yo Columbian FB as well named Arroyo, currently on loan. he's the one i'm excited about. Adam Lewis is probably the left back most likely to get a shot. He's out of contract at the end of June, so one way or the other he's on his way out. Could be a good move for the lad. Lower level in Spain or Italy, clubs who play a 3 at the back system... exactly what I expected for him. Wonder what ever happened to him? I am reading on some (perhaps very unreliable some might say) sites that he if off to Barca in the summer! nor has Alberto come down with a back injury! he does seem like a likeable lad, just not up the standard of footballer we need though. Not sure they'd do that for a player out of contract!